My name is Faye Arcand. I am a freelance writer, columnist, and author. Each day brings a world full of characters, places, and events, that spill onto the pages. Sometimes it’s a short story that needs to be told, or an experience I have and share in my column “Auntie Says…”, and then there’s the bigger projects like a full novel. They’re all a part of my writing world. 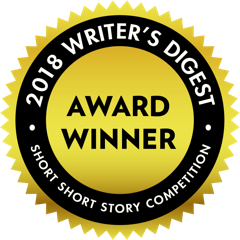 I’ve won awards for my short stories and my column was recently voted a reader favourite. I’m humbled by my readers acceptance and support. A full length young adult novel is currently with my agent in search of a publisher. I like to write about real life, real people, and real situations. Raised on the west coast of British Columbia, the seventh of eight children, I’ve been blessed with and appreciate an abundance of family and friends. My degree in Criminology opened many doors within the Canadian criminal justice system. When I wasn’t working, I’d travel. I’ve visited many parts of Canada and the USA. Also Mexico, Dominican Republic, Trinidad and Tobago, Jamaica, Grand Cayman, Japan, Macau, Hong Kong, South Korea, Italy, Greece. Next on the list are France and Germany. I love public speaking. I do public readings, lead a writing group, and participate as a presenter in writing conferences. A few of my favorite writers are: Stephen King (On Writing), Liane Moriarty (What Alice Forgot), Lisa Jewell (The House We Grew Up In), Rainbow Rowell (Eleanor and Park), and Karen M. McManus (One Of Us Is Lying). I am represented by Stacey Kondla of The Rights Factory. I’m a member of Federation of BC Writers, and a columnist for Black Press–my home paper is the Penticton Western News. I was voted “Best Writer/Journalist” of the south Okanagan in 2018. I live in western Canada with my husband, teenage son, dog and wayward cat.